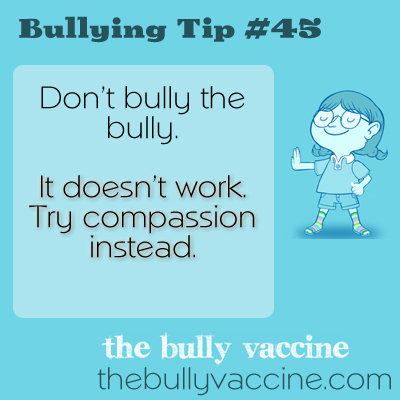 Bullying tip #45: Why and how compassion makes bullies stop. It doesn’t work. Try compassion instead. It is tempting to bully the bully. That will only make the situation worse. There is a better way but it requires you to feel compassion for them instead.